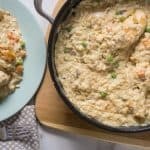 This chicken risotto only uses one pan and is ready in 30 minutes! 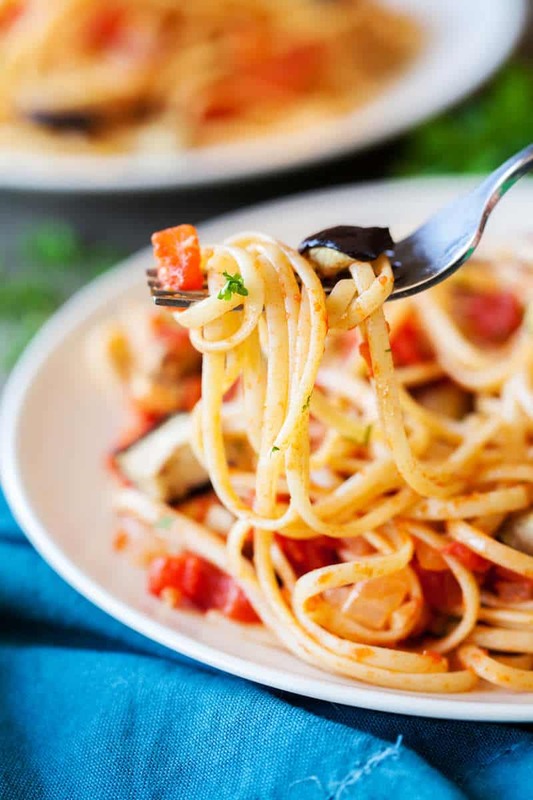 It’s creamy, delicious, and the whole family will ask for it again and again. The story is a little backwards of how I came to make this chicken risotto. It started with this OXO 3-quart covered saucepan I found at Bed, Bath & Beyond on clearance. I was SO excited to find it because I only have one sauce pan and it’s small, so I can’t cook any one pan recipes. My life just hasn’t been complete, I tell you! I purchased it immediately and my first order of business was to try a recipe in it. That night. And that is how this one pan veggie chicken risotto recipe came to be! One criteria for this one pot recipe, besides the one pot thing, was that it be easy and delicious. I knew I wanted to use a protein (hence the chicken), and then have some veggies and rice as well. 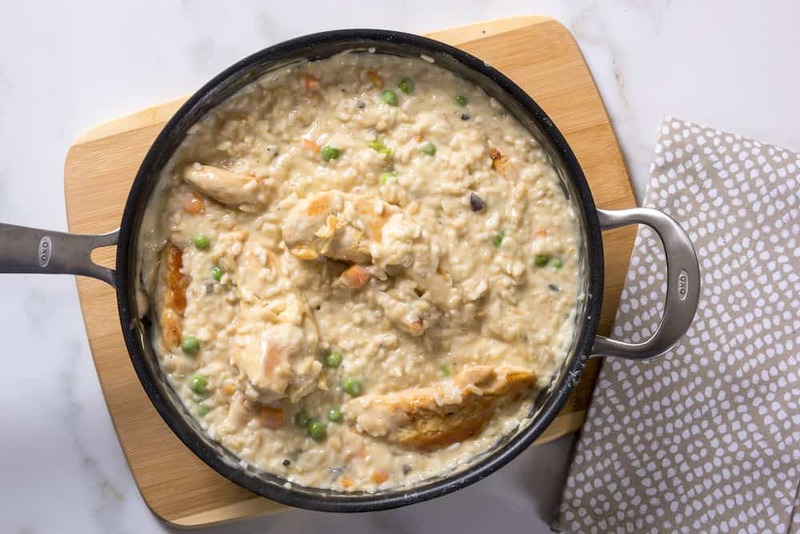 I also knew I wanted it to be filling, and this chicken risotto recipe fits the bill. It’s good for families, and for kids who don’t exactly like their veggies (they won’t even know!). 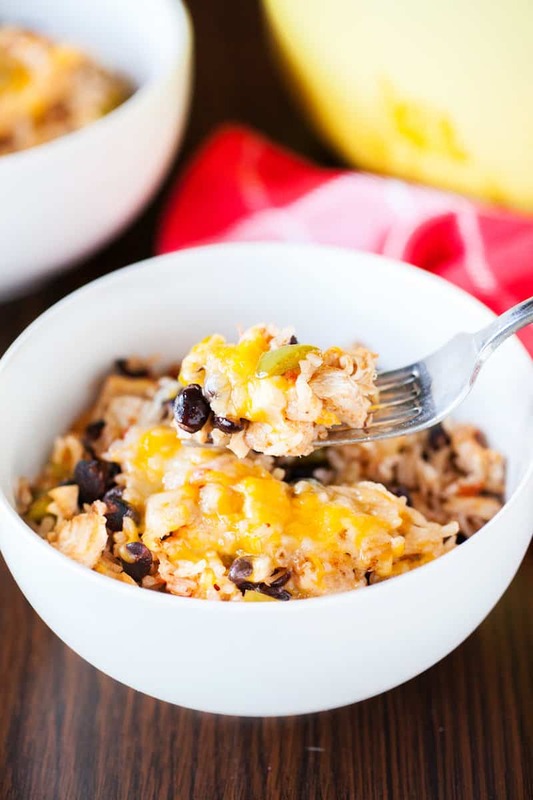 You can also substitute the white rice for brown if you are so inclined. I’ll leave that up to you. Here’s how it’s done! Season the chicken as desired. 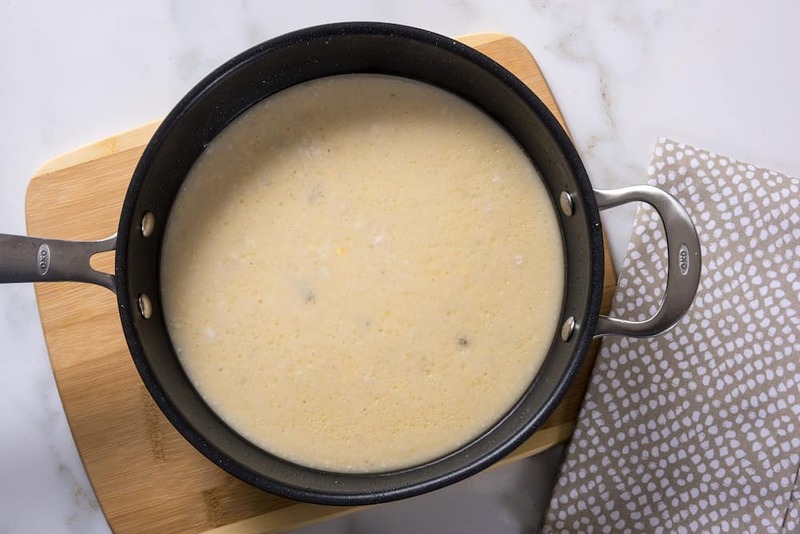 Heat the butter in a a 3-quart saucepan over medium-high heat. Add the chicken and cook for 10 minutes or until well-browned on both sides. Remove the chicken and let cool on a plate. Stir the soups and water into your saucepan. Heat to a boil. 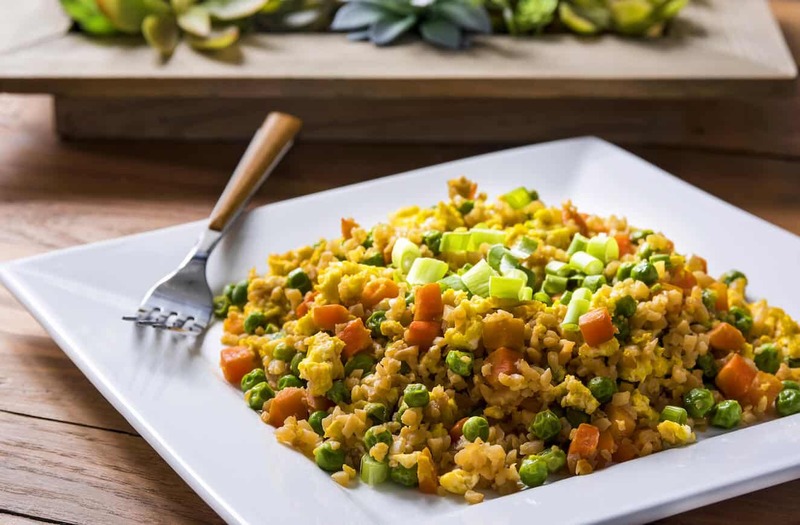 Stir in the rice and veggies. Cook until rice is done and veggies have softened, about 15 – 20 minutes. Return the chicken to the saucepan and reduce the heat to low. 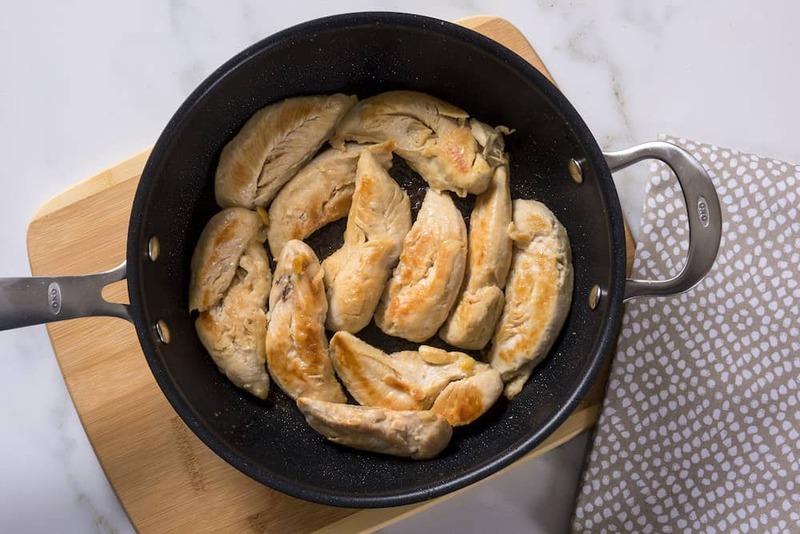 Cover and cook for five minutes or until the chicken is cooked through and the sauce reduces to a more creamy consistency. Remove from heat and let stand about five minutes before serving. 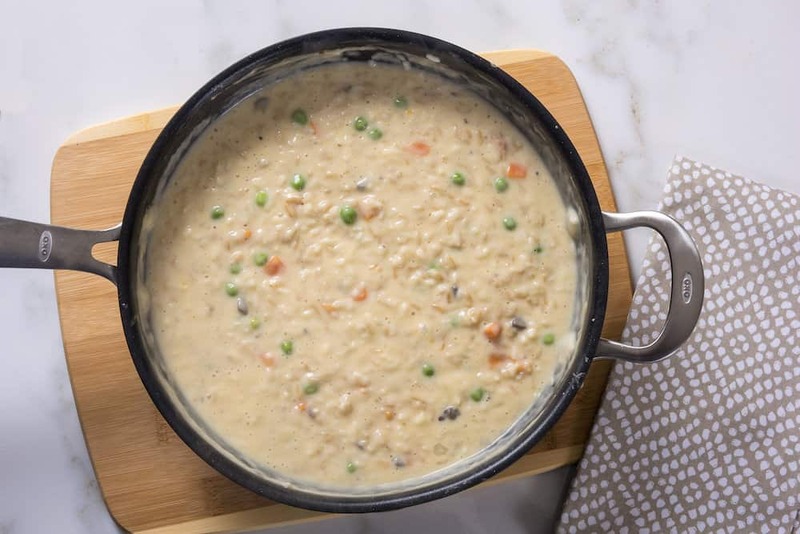 This chicken risotto recipe serves four! 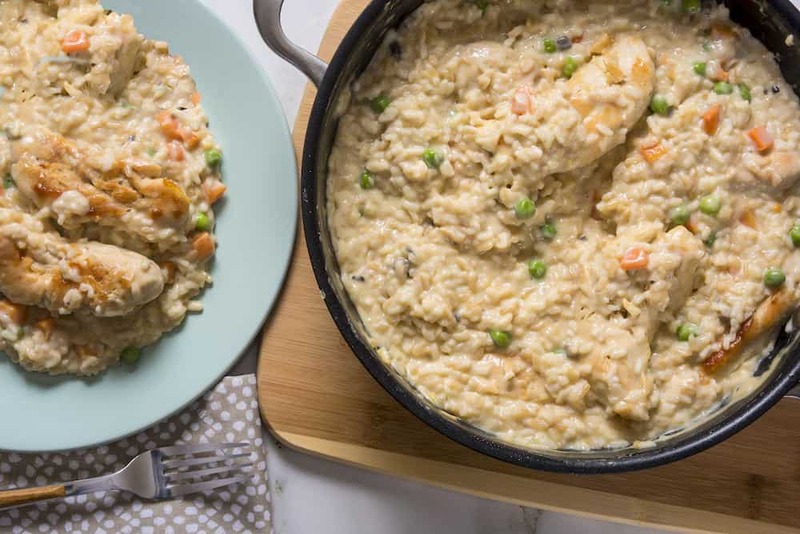 This chicken risotto only uses one pan and is ready in 30 minutes! 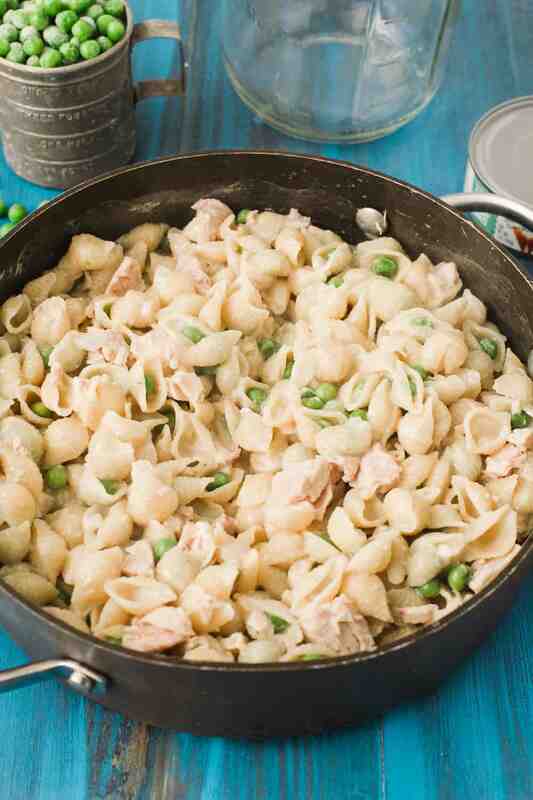 It's creamy, delicious, and the whole family will ask for it again and again. Stir in the rice and veggies. Cook until rice is done and veggies have softened, about 15 - 20 minutes. Remove from heat and let stand about five minutes before serving.